Correx is the ideal material for the manufacture of multi journey containers and trays and it is good for short or long term cold storage. It can have a variety of additives to make it Antistatic, Flame Retardant and UV Resistive. Our Correx is fibre and dust free, chemically and biologically inert, easily cleaned and sterilised and not affected by moisture. Our correx trays used in the ice cream section of a supermarket to promote a top of the range brand of real fruit ice lollies. If your bag fits…………..you’re ready to go! NEW SIZE 595x375x300mm external giving an internal size of 580x375x300mm, can be integrated with existing bin. 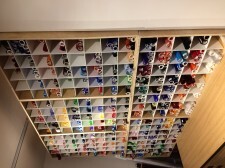 A range of bespoke picking and storage bins for well known high street lens provider. Shorter bin sits on top to allow access to larger bin underneath. Can quote other sizes if required. We can also make to your specific sizes, just go to contact page and ask us for prices for these or any other requirement you may have. 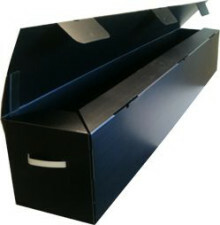 Cut from heavy duty correx, these storage / pickin bins are delivered flat packed and are easy to assemble. 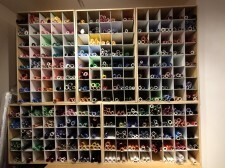 They have the flexibility to be stacked as high as required which does away with expensive racking . As can been seen from the images, tabs at the top locate into slots at the base keeping them stable. There are also holes where cable ties can be threaded to tie the stacks together to offer even more stability. 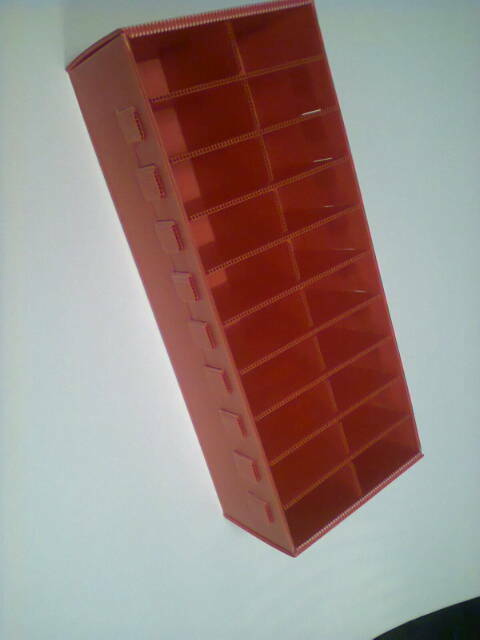 New product, a one piece stacking tray, more economical than the conventional stacking tray. Delivered flat on pallets, saving a huge amount of storage space and significantly reducing your carbon footprint. Eco-friendly correx box with lid. Complete with divisions for a pharmaceutical client for use in a clean room environment. The box on the left is a custom designed box designed by request from a client. The Client’s brief was to provide a multi-trip pack that affords maximum protection to a PC Tower whilst in transit. The box is manufactured from fibre and dust free Correx. Correx is not affected by moisture and provides maximum life-span while being recyclable. 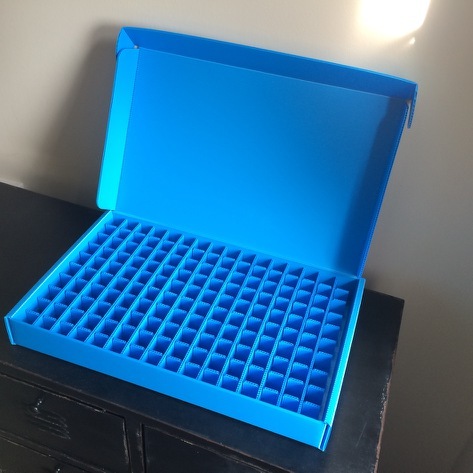 As can be seen from the images, packing the box is easy with the custom designed foam inserts. One of several bespoke installations for a major film company’s laboratory.